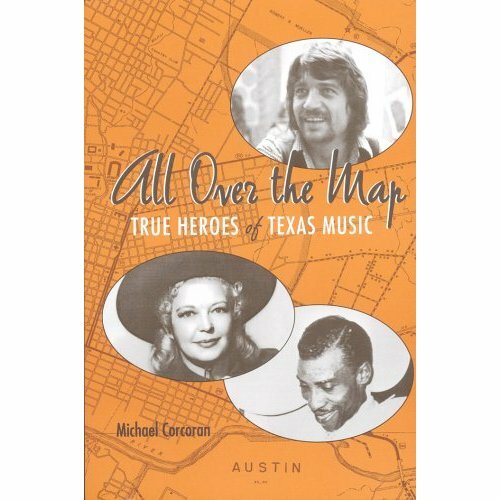 “All Over the Map” is available at amazon.com. If I do a second segment of “All Over the Map,” I’d include this chapter on Gil Askey who was 85 in February when I interviewed him. Diana Ross hired Asket to be her musical director after she left the Supremes. Although he has lived for 30 years in Australia, where his wife, Hellen, is from, the L.C. Anderson High School graduate comes back to visit once a year. Gil’s nickname is “Brother,” and when he comes back to Austin, state Rep. Dawnna Dukes said, “Brother makes an effort to see everyone around from the old days.” His two older sisters, Grace and Velma Jo, are still alive, as are friends that go as far back with Askey as the first grade at the Olive Street School. Timing smiled when the 85-year-old trumpet player was in town in early February, just three weeks before Ross, his boss for more than 10 years, was set to appear at ACL Live at the Moody Theater . Love a local tie-in to the most successful female recording artist in history. Over coffee at Denny’s, however, Askey put off questions about his glitzy musical résumé and instead told long stories of growing up dirt poor in East Austin. He made imaginary street maps with the side of his hand — “Hackberry, Juniper, Willow…” he’d recite. Prominent Motown arranger Gil Askey was taught by East Austin icon B.L. Joyce. Askey helped discover the Jackson 5 and was musical director on tours by the Four Tops, the Temptations, Gladys Knight and the Supremes. He co-wrote hits for Curtis Mayfield and Linda Clifford, and yet he wanted to talk more about musicians he played with on the Anderson High Yellow Jackets marching band, including Kenny Dorham, Roy and Alvin Patterson, Ray Murphy, Paris Jones, Warner “Rip” Ross and Buford Banks (trumpeter Martin’s dad). They all used to get together at the Pattersons’ house and play jazz, which was frowned upon by Anderson High band director B.L. Joyce. Askey grew up idolizing Harry James of Beaumont, while Dorham, who would go on to replace Miles Davis in Charlie Parker’s band, knew every Erskine Hawkins lick. But the authoritative Joyce was all about John Philip Sousa marches. Outfitting his band with uniforms he tailored himself, Joyce led the Yellow Jackets to state marching band championships during Askey’s last two years at Anderson, which was then located at 1607 Pennsylvania Ave., near where Kealing Middle School is today. East Austin legend B.L. Joyce was a strict disciplinarian. He music pupils included Kenny Dorham, Alvin Patterson and Gil Askey. Benjamin Leo Joyce, a master tailor by trade, formed the first Anderson High Yellow Jackets band in 1933 and ruled with an iron baton until 1955, when a new school district ruling that band directors must have music degrees forced him out, amidst much community uproar. His replacement was his former first trumpeter Alvin Patterson, who led the band until desegregation closed the school in 1971. 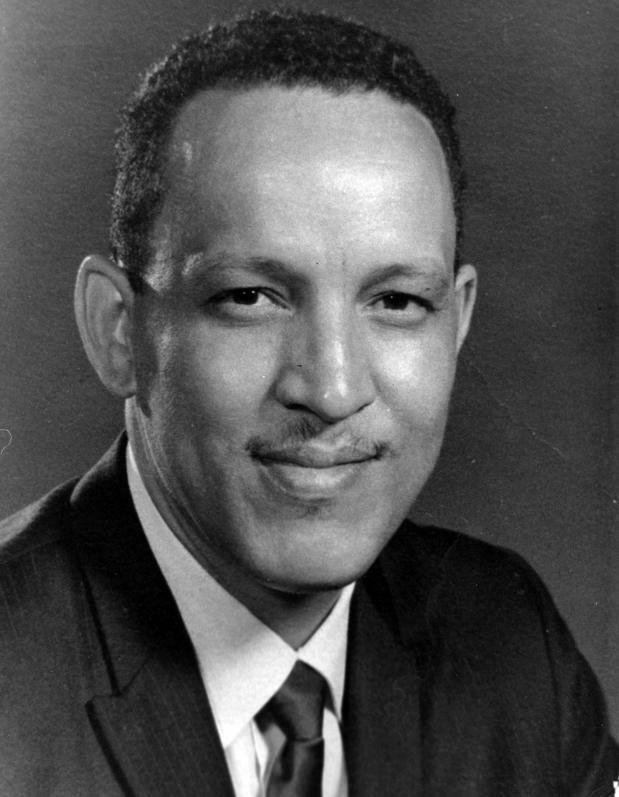 Askey’s mother was Ada DeBlanc Simond, the noted African American historian and author who penned the “Looking Back” column in the American-Statesman for several years. Askey’s father, Aubrey, left when Askey was 2 and, with his mother already having three kids by age 26, he was raised by his grandparents Gilbert and Mathilde, Creoles from Louisiana, who spoke French in the house. Askey’s cousin was R&B singer Damita Jo; Texas Rep. Dukes is his first cousin once removed. Two hours into the interview, Askey had barely mentioned Diana Ross or the rest of his time at Hitsville USA. Another appointment ended the talk, and it seemed that this article would have to be filled in by others talking of Askey’s charmed career. He was leaving town the next day to visit his sister in Dallas and then back to Oz. Gil Askey has lived in Australia for 30 years. During the next 90 minutes came tales about the Supremes being introduced to chitlins in East Austin and a 10-year-old Michael Jackson hesitating to go on “The Ed Sullivan Show” until he saw “Uncle Gil” in the wings. What set Askey apart from all the other horn players of East Austin was a gift for arrangement and composition that he didn’t know he had until after getting out of the Army Air Corps in 1944 and enrolling first at the Boston Conservatory of Music and then the prestigious Harnett National Music Studios in Manhattan. As an almost required rite of passage for Texas jazz musicians, Askey played for the Houston-based Milton Larkin Orchestra for a year between those two music schools. “You could say that was the time when the trumpet took over my life,” he said. Askey started writing charts for full bands, eventually leading to his big break, a three-year stint as arranger/trumpet player with the popular Buddy Johnson band (“Since I Fell For You”). When rock ‘n’ roll exploded and Johnson’s brand of adult blues became passé, Askey toured in the house band on package shows, backing Frankie Lymon and the Teenagers, the Platters, the Clovers, Jackie Wilson, Lloyd Price and many more. “Bill Haley and the Comets were the only act on those tours that had their own band,” Askey said. Askey received his first call from Motown on New Year’s Day 1965 with an offer to produce and arrange six tracks on Billy Eckstine’s “Prime Of My Life.” He ended up doing the entire album. When the Supremes’ hits slowed down in 1967, Motown mastermind Berry Gordy decided to make a record that crossed over to an older Broadway crowd. He tapped Askey for “The Supremes Do Rodgers & Hart” and also appointed him the group’s musical director on live shows, including the 1970 “Farewell” performance in Las Vegas that was Ross’ last show before going solo. But Askey also recalls Ross as the consummate crowd-pleaser, who once even came back out onstage in her bathrobe to do an unscheduled encore because the crowd simply would not leave. That the Jackson 5′s first album was billed “Diana Ross Presents the Jackson 5″ has a connection to Askey. His stepfather, Luther Simond, was an assistant principal at Norton High School in Gary, Ind., in the late ’60s and knew the older Jackson brothers from school and the younger ones from church. Their Jackson 5 routine had instantly become a sensation in Gary and nearby Chicago, so Simond called his stepson in Detroit and said, “You need to come down here and check these guys out.” Askey passed on the tip to Ross. So many things happen out on the road, but then there’s another town, another show and it all blurs together. Or sometimes seemingly forgettable incidents can change your life. While touring Australia in 1973, Askey and a few other band members were caught in the rain and couldn’t find a cab. A woman pulled up and gave them a ride to the hotel. Seven years later, Askey married the good Samaritan, named Hellen, and relocated to Australia. His wife wasn’t happy about that, especially having to raise an infant alone, so Askey retired from touring in 1985. He’s well-known in Australia through his work with programs that encourage young people to learn instruments. “Brother’s hobby is finding old instruments, restoring them and then passing them on to kids,” said Dukes. At 85, Askey sits in with a Melbourne jazz combo once a week when he’s up for it. The former altar boy at Holy Cross Catholic Church in East Austin still goes to mass every Sunday. He regrets that he was unable to attend B.L. Joyce’s funeral in 1980. Askey was working as musical director for the movie “Fame” and couldn’t get a day off the set. But he sent a poem, an “Ode to B.L. Joyce,” which he wrote about the tailor who became one of Austin’s most influential teachers. It was a single note, a G, that Mr. Joyce showed Askey at that first lesson, then sent him home to play only that note until he could play it perfectly. From the smallest details, big things one day come.